CSA Ocean Sciences Inc. (CSA) has prepared numerous desktop studies (DTSs) for submarine fiber optic cable systems. DTSs provide an analysis of the network route and define the physical environment, critical permitting, and engineering issues associated with the installation of the proposed systems. The studies also provide relevant, applicable information on seabed depths and geological, biological, and oceanographic resources along the cable route segments; weather conditions; landing site permitting considerations; existing cables and pipelines; and shipping and fisheries considerations. The DTSs include identifying: 1) permitting obstacles or geohazards, such as steep bathymetric features, rocky substrate, sediment flows, or other features that potentially present hazards; 2) biological features, such as rare or protected species; 3) fishery or other natural resource usage that presents conflicts or/and permitting obstacles; 4) archaeological or cultural features, such as ancient wrecks or religious/artifact grounds; and 5) regulatory requirements related to the project and providing a permitting matrix to present the assessments, permits, and permissions that would need to be obtained in order to facilitate the construction and operation of the fiber optic network. Cable engineering information is based on data provided by the cable installers, charts, and other data currently commercially and publicly available. As part of the preliminary route design, CSA also identifies and provides mapping data related to Restricted Areas and Hazards, which includes any areas along the proposed route restricted by military or other regulating bodies (e.g., Traffic Separation Scheme, etc.). 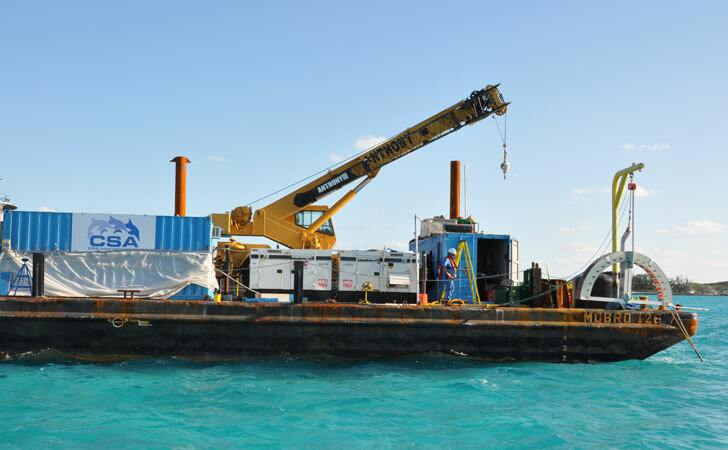 CSA has provided or currently is providing DTS services for Fiber Optic Submarine Cable Systems throughout the Caribbean, several locations within the United States and South America, Thailand, and Africa.